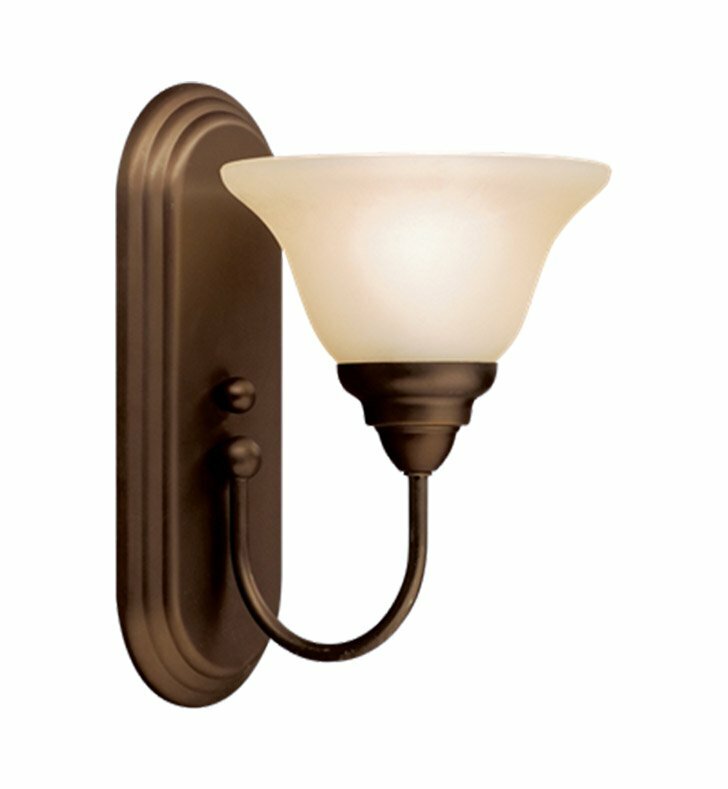 Questions about Kichler Lighting 10604OZ? If you're on a tight budget but want timeless styling with a clean color palate and finish, this 1 light fluorescent wall sconce from the Telford collection is what you've been looking for. The beautiful allure of the Olde Bronze finish has been combined with the classic look of Umber Etched Glass that can highlight any area of the home. Dimensions: H 12" x W 7 1/2"